The compact walk behind auto-scrubber, which delivers powerful cleaning in confined spaces, even corners! Large capacity tanks provide the perfect volume of water required to achieve a high performance clean, while the innovative water recovery system delivers clean, dry floors in a single pass. 360-degree cleaning, at your fingertips. M360 - compact, agile and highly productive. The M360 has been optimized for the cleaning of confined spaces, previously unreachable with a traditional auto-scrubber. Its compact design and maneuverability allows access to hard to reach areas and perfect cleaning around objects. 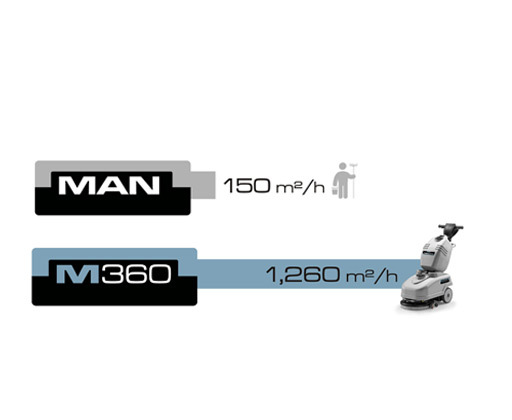 The 360 mm cleaning path and a top speed of 3.7 km/h enables a productivity rate of 1,322 m² / hour. It’s impossible to clean a floor perfectly without sufficient water. The M360 has an impressive 14-liter solution tank and 16-liter recovery tank, which deliver the optimum volume of water to the brush pad for the best results. The innovative water recovery system and auto-adjust squeegee guarantee maximum water pickup and complete dirt removal, avoiding the risk of slip and fall accidents. Clean, safe floors without needing to stop and refill. It is available in 2 versions, with a 12 V battery for completely flexible cleaning or with a power cord for unlimited running time. The compact design and 360 mm cleaning path are perfectly adapted to clean narrow and confined spaces, while high maneuverability allows easy access to corners and responsive operation. It is impossible to clean a floor effectively without sufficient water. The M360 has large capacity tanks to deliver the perfect volume of cleaning solution required to achieve the best results, without having to stop and refill. The adjustable parabolic sqeegee distibutes down pressure evenly along the lenght of the blades, delivering consistent cleaning results no matter what the surface. The M360’s stem conveniently folds at 180 degrees, enabling easy pick up and storage. 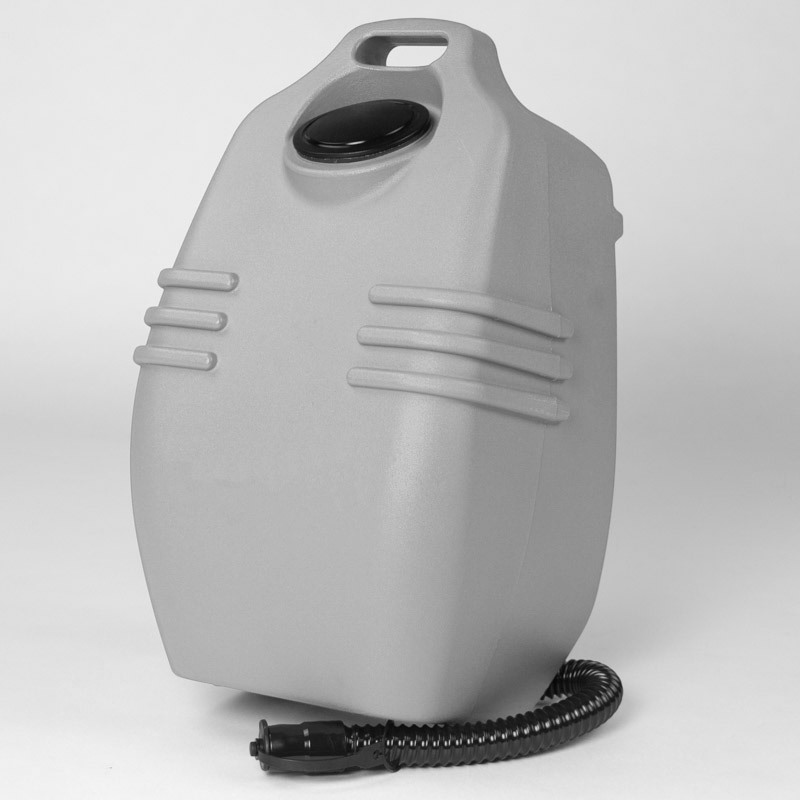 Tailored to the operator, the M360's tanks have a built-in handle enabling easy filling, emptying and cleaning. The M360 has an ergonomic handle that can be adjusted to the operator for optimum comfort during use. Commands are intuitive. 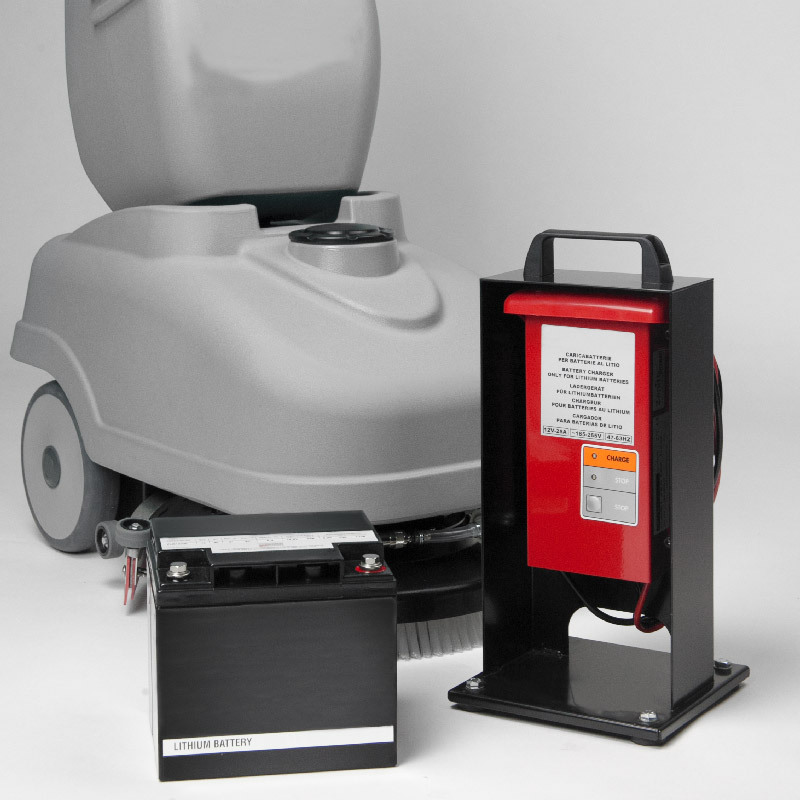 12 V maintenance free battery delivers 1 hour and 40 minutes of operation on a single charge. No power cord provides greater flexibility and safer cleaning. Also available with lithium battery.